The North-West University (NWU) Council appointed Prof Marilyn Setlalentoa as the new deputy vice-chancellor for assigned functions and operations for its campus in Mahikeng during its meeting on 23 November. She is appointed for a term of five years. In addition to her extensive knowledge and experience in various areas of teaching, research and management, Prof Setlalentoa is known for her community involvement. She was appointed executive dean of the Faculty of Humanities in July this year after serving as dean of the former Faculty of Human and Social Sciences on the campus in Mahikeng since 2015. Prior to this, she has enjoyed an auspicious career at the NWU serving as director for the school of Social Sciences, head of the department and working as senior lecturer. Her previous employment includes stints as social worker at the Chamber of Mines’ Centre for Human Development, the Department of Defence and the Department of Health and Social Welfare. She holds a PhD from the North-West University and an MA from the Rand Afrikaans University (University of Johannesburg). 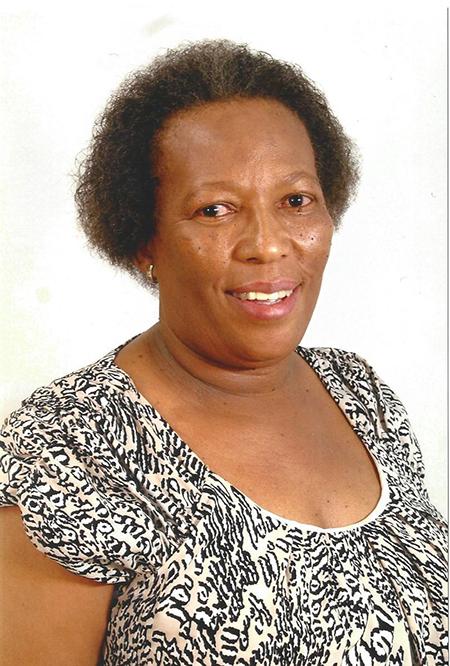 Prof Setlalentoa obtained a BA (Hons) from the University of the North (University of Limpopo). She also completed various courses in research methodology, research supervision, counselling, leadership and an assessor’s course. Prof Setlalentoa has presented many articles at conferences and has published various articles in accredited journals as well as in other journals and reports. Her passion for social work and her active involvement in communities led to her being appointed president of the South African Council for Social Service Professions (SACSSP) from 2004 to 2009. She also served as SACSSP vice-president from 1999 to 2004. Prof Setlalentoa’s leadership abilities have resulted in her serving terms as chairperson of the National Welfare Social Council for Social Services and Development Forum and the National Council of Family and Marriage Society of South Africa. She has also been a member of various organisations such as the National Lotteries Distribution Trust Fund for Charities, the Social Relief Fund of the Department of Social Development, the South African Society for the Prevention of Child Abuse and Neglect, Heartbeat Community Development, the Provincial Health Council and the Botshelo Water Board. The Council congratulated her on her appointment and expressed full confidence in her ability to lead the NWU’s campus in Mahikeng to even greater success.